Bridge Designed for Penstock of Poe Valley State Park Dam. 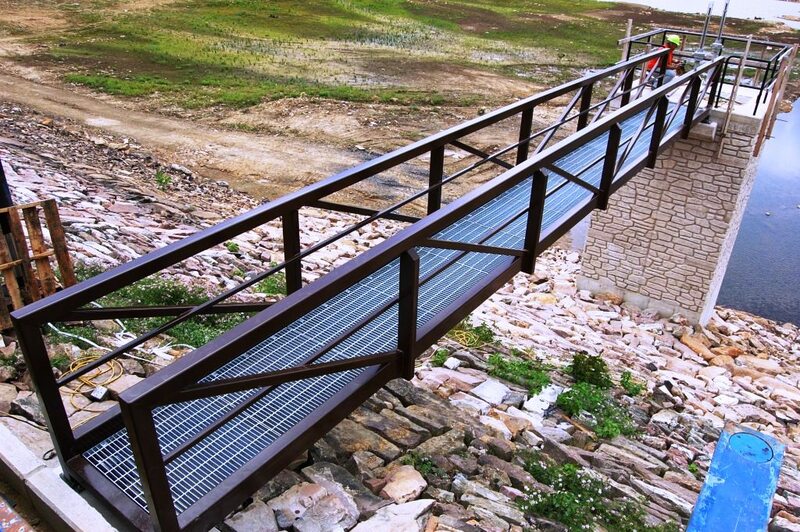 Custom all welded Pedestrian Bridge with Galvanized Bar Grating and Bolt-on Galvanized Gate and Fence. Fabricated by our certified welders to our client’s specifications.